The director of a dance company in San Diego, Calif., who has a background in anthropology has been hired as the new executive director of the Community Library in Ketchum. Cynthia Dillon will take the helm of the nonprofit literary ship starting in July, succeeding former Executive Director Colleen Daly, who left the library last year to work as development director at the New York headquarters of the American Academy in Rome. “I’m very excited about my new role at the Community Library,” Dillon stated in a recent library press release. According to the release, Dillon works as the executive director of Malashock Dance, a San Diego-based modern dance company and school. She grew up in Omaha, Neb., and went west for college, earning a B.A. with honors in journalism from California State University, Sacramento, followed by an M.A. in anthropology from San Diego State University, where her research focused on Native American peoples of the southwestern California region. She is a member of the American Association of Anthropology and the Society for American Archaeology, and teaches archaeology as an adjunct professor at San Diego Mesa College. 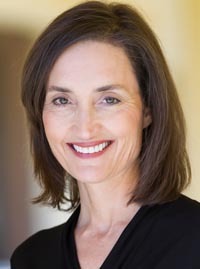 The release states that beyond her anthropology and arts experience, her professional background includes news media and publishing as well as business management.